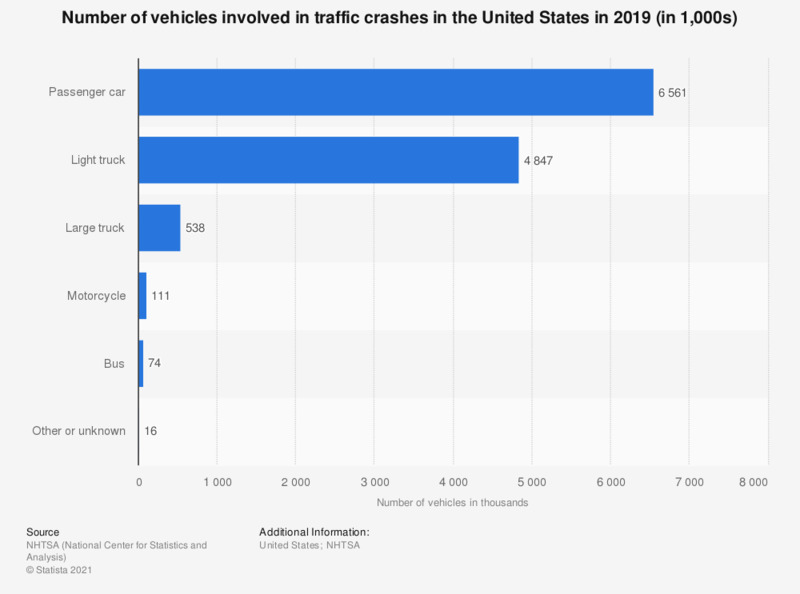 The statistic shows the number of vehicles involved in traffic crashes in the U.S. in 2016. In that year, just over five million light trucks were involved in U.S. traffic crashes. Motor vehicle crashes are the leading cause of death among those under the age of 55 in the United States. * Fatalities, injuries, and property damages. Everything On "Road accidents in the U.S." in One Document: Edited and Divided into Handy Chapters. Including Detailed References.